"..my birds had "watery droppings" until I tried Megamix. What a Difference! Within 2 days their droppings began to firm up. I started as you suggested by adding 3ml to one liter of water but gradually ended up at 10 ml per liter. Because I live in a humid climate I find that I need to add Megamix every day." "..it has been approximately six weeks now on all of Dr. Marshall's products. They are molting so quickly and are now very tight feathered and alert! The Megamix has made a world of difference! I am sure I will have a great breeding season!" Megamix is a mixture of organic acids that protects birds from the damaging effects of wet weather and high humidity over 65%. Megamix prevents e-coli, mold and fungal germs from multiplying in the crop and gut. 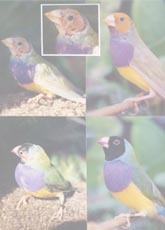 Sudden fluctuations in temperature & high humidity cause restlessness in finches and other seed eating birds resulting in alkaline changes in the crop and bowel. Adding Megamix in the drinking water does not damage the bowel in any way, but does prevent the acid fearing germs, notably e.coli, mold and fungal (Thrush) from multiplying. This occurs because high moisture in the air is accompanied by an increased bowel germ count (e.coli and thrush) which causes “gut ache”, loose droppings. Megamix lowers the germ count and immediately protects the health of the birds. Best results come when Megamix is used at the first signs of change in the droppings. Young chicks are highly susceptible to health problems during wet weather. Megimix given at a dose of 10mls per litre controls most young bird health problems without affecting their developing natural resistance. 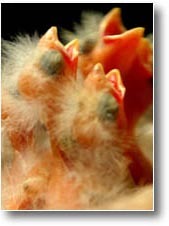 Megamix can be added to hand-feeding formula to help prevent yeast infections in baby birds. Using Megimix rather than Nystatin (anti-fungal medication) you will help the chicks to develop a stronger immune system. 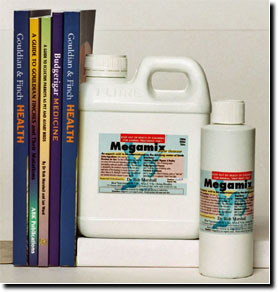 Megamix should be added to a liter/quart of water at a rate of 3ml per liter/quart. This water should then be used to make up the hand-feeding formula. 1. Water pre-mixed with Megamix can be stored for 3 days. The dose of Megamix varies depending upon the humidity in the local area and the hardness of the local water. Some use it at 2mls per litre of water to good effect, others require 5mls. High humidity areas need up to 10mls per litre. Calculate the proper dose by noting the droppings in response to the Megamix. Start at 2ml per litre and work upwards until your reach the desired effect. Droppings will return to normal by the afternoon and the birds' overall appearance will improve. City Tap Water-The amount of Megamix used will vary from aviary to aviary based upon the alkalinity of the local water. Normal city tap water has a pH of about 7.5 when it is full of chloramines. The pH will rise with the more chloramines added. Therefore, city tap water predisposes a bird to bacterial, mold and Thrush growth on food and water ingested into the crop. With the addition of a water softener, the problem can be exaggerated even more. Normal Bird Crop- has a pH of 4; the proventriculus about 2; intestines around 6.5-7 and the cloaca a pH of 6.5-7. Megamix in normal tap water lowers the pH to 5.3 to 5.4. Therefore if the normal drinking water has an even higher pH than 7.5, the addition of more Megamix will be necessary to bring the pH into the 5.3 to 5.4 range. The amount of Megamix needed can be determined by observation of the droppings which should be tight and well formed with just a small amount of water. important sign of good health. 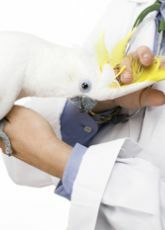 Megamix is used as the first choice acid cleanser for healthy birds. It is used for e.coli and thrush problems in areas with a humidity problem. It can be used for one day or continuously during wet spells. 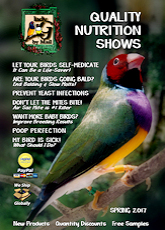 Megamix never depresses a healthy bird and is safe to give to birds feeding young babies. KD is a stronger medicine which is used for birds, where e.coli and thrush is associated with other underlying health problems (fungus, toxins, worms, respiratory diseases etc.) it kills e.coli, thrush, fungus, viruses and respiratory illnesses without affecting the immune system, whereas Megamix protects the healthy bird from e.coli and thrush alone. KD will depress a bird when it is healthy, but lift their spirits when it has an underlying health problem including e.coli and trush. Megamix has no effect on the continuing immunity of birds. It is not absorbed into the blood stream. It may be used every day with no ill-effect. It may be mixed with any of Dr Marshall's products, except KD Water Cleanser.